Enjoy 4 seasons of recreation! 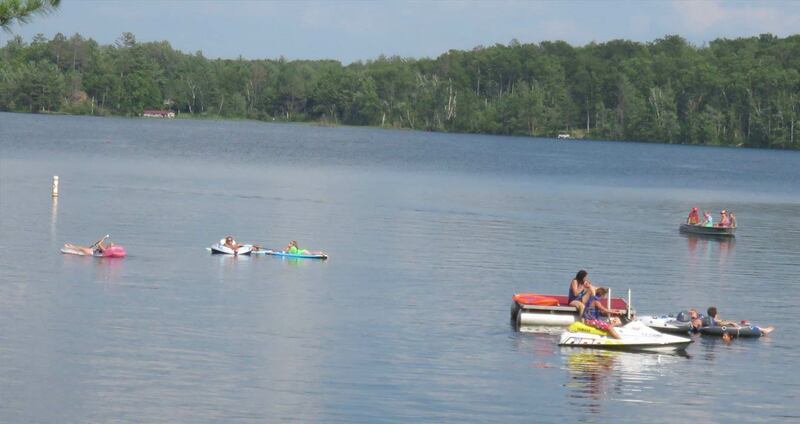 Cresthill Resort, a classic northwoods lakeside resort catering to the silent sport enthusiast, is located on the shores of the Tiger Cat Flowage in Northern Wisconsin. Take a moment to browse our website. 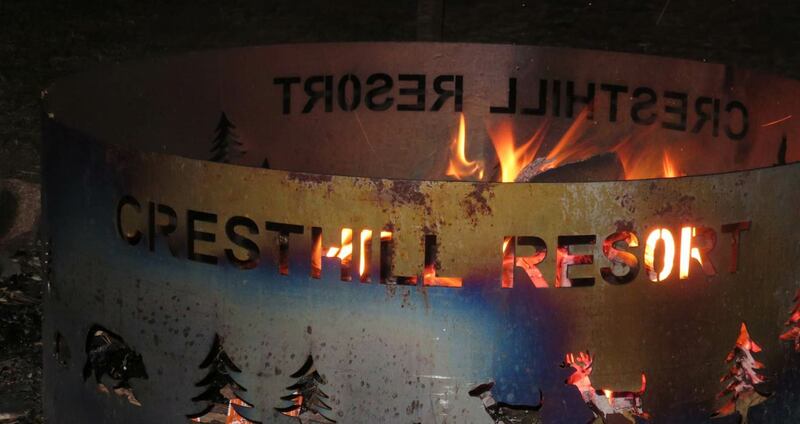 If you should have any questions about making a reservation at Cresthill Resort please send us an email or call. We will be happy to send you our current lodging rates and availability. We would love to hear from you!! 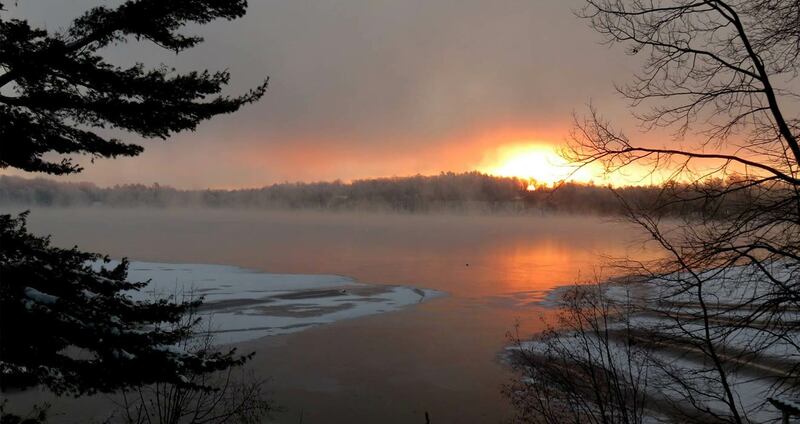 Cresthill Resort on Placid Lake, part of the 1600 acre Tiger Cat Flowage of six connected lakes, is located 10 miles Northeast of Hayward, Wisconsin. 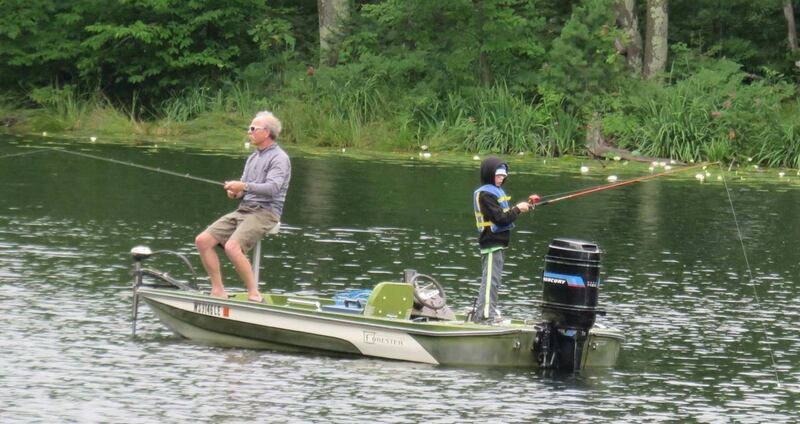 This quiet picturesque 160 acre lake has been stocked with over a half a million musky, walleye, large mouth bass and bluegills. In the surrounding area deer, bear and other wildlife abound. Many of these areas are open to hunting. The cabin was clean and included everything we needed. It was so nice not worry about bedding and towels and we were surprised to even find all the paper products, hand and dish soap. We all agreed that having all sorts of water craft available as part of the rental was awesome and we canoed, kayaked, paddled and peddled multiple times a day. Our grandson was in love with the giant sandbox and toys while our 9 year old granddaughter loved swimming to the floating dock and jumping in, as well as “feeding” the fish. She caught her first fish from the dock. We all miss hearing the loons but plan on a repeat visit next year. Thank you for everything. If you’re looking for a perfect place to spend a few days or a week Then a trip to Cresthill Resort on Placid Lake is just what you should seek If it’s quiet you want then you will love reading a book on the beach Or sitting on the screen porch viewing natures’ wonders for as far as your eyes can reach And if you are the active type, you can take the kayak or paddle board out for a spin Because whatever you want is at your fingertips and either way you’ll win At night, you’ll hear the loons talking back and forth Or you can listen to the wolves howling softly and know that you’re really “Up “North” Our cabin came fully equipped so we didn’t have much to pack So when we arrived at our cabin, we could be very “laid back” Our host and hostess, Scott and Kay really made us feel right at home And when we’d want to go for a walk, or two, they’d suggest just where to roam *We really had a great time. We’d highly suggest Cresthill Resort as a fantastic vacation destination! We loved it. Kids loved playing with all of the water toys, so did the parents. Kitchen was fully equipped to provide family meals. Loved the look, feel, decor of the cabin. The property was lovely. This was the perfect place for me, the 4 grown kids and our dog. 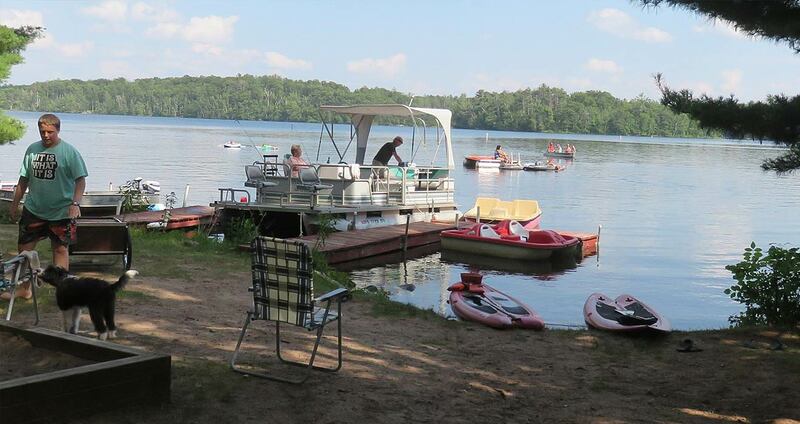 We especially loved the free paddleboat, paddleboards, kayaks and canoes available as well as a dock for our own boat. The resort is pet friendly, very accommodating, and close enough to town for short excursions. All the water toys, boats, paddle boats, canoes, kayaks, and paddles boards free to use on first come basis is a real bonus. Great place to relax, super friendly for dog ,cute beach ,if you are tired of the city go there! Very clean cabins, love that place and will be back next year. Full recommendations!! We stayed at Cresthill over the 4th of July week and loved every minute. Our teen had his first sauna, my husband mountain biked for miles, and I loved the lakeside beach. Even the dogs had a great time! If you like beautiful scenery, wildlife and peaceful surroundings, Chesthill Resort is the place for you. The owners, Scott and Kay Wilson, are friendly and wonderful hosts. I enjoyed every minute of my stay. I hope to come back again some day and visit with my new friends. You couldn’t ask for friendlier more accommodating lodge owners than Scott and Kay. 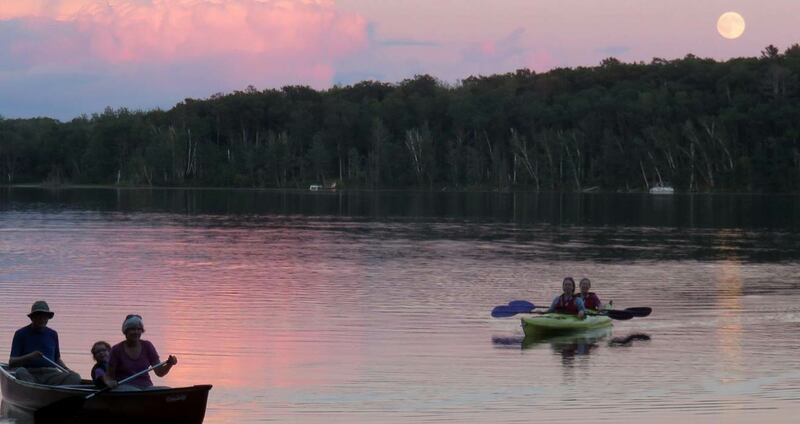 Nice cabins, beautiful clean lake with access to 3 other lakes and they provide lots of free activities like paddle boarding, canoes, kayaks and 14 ft fishing boats. Just 15 minutes from Hayward. Love this place! Cozy, relaxing, great lake setting and fabulous, friendly and accommodating hosts. The cabins had all the necessary features and were comfortable. Looking forward to going back.